Bite-size Nilla Wafers, Hershey Kisses, butterscotch chips. 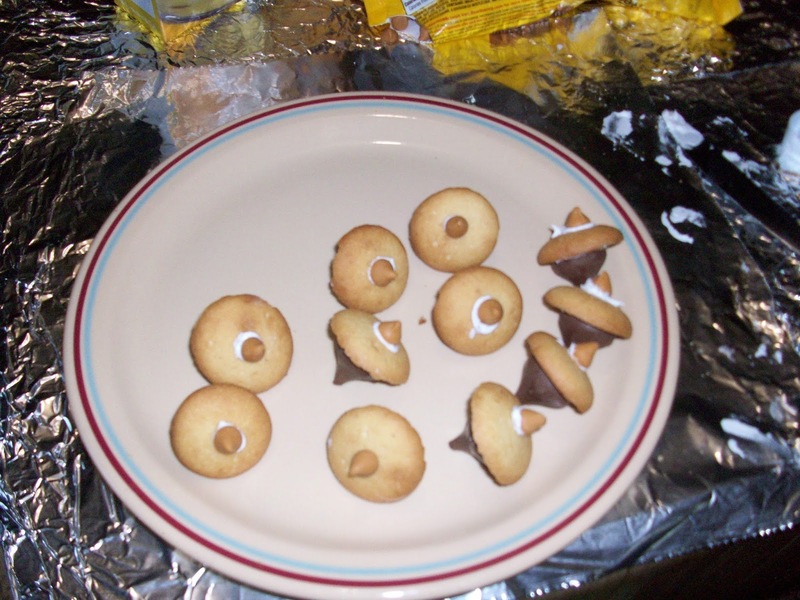 I had once been a half devil/half angel (one I made myself that was similar to the one in the photo below) . 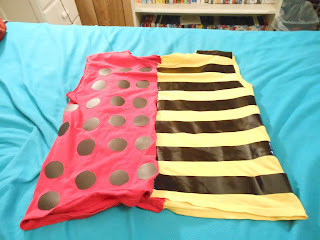 Seeing the reversible ones made me think of this one and gave me the idea to a half ladybug/half bumble bee. I don't know if anyone else has ever thought of this idea. I was unable to find black pompoms anywhere in town. 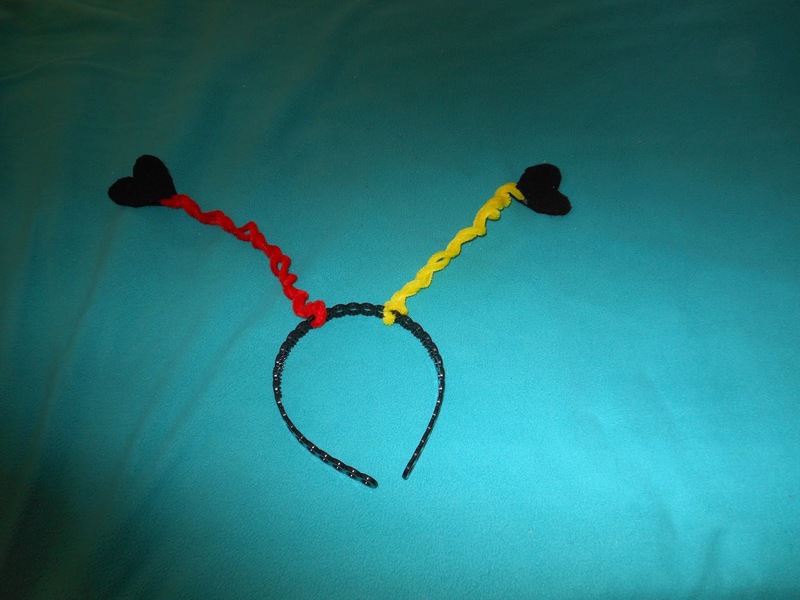 The heart idea came for the antenna sold with the reversible costume. As you can see, I cut off the sleeves and the collar. The stripes were made from duct tape from the Dollar Tree. I used most of it for the stripes, then started to use what was left of the tape for the spots. 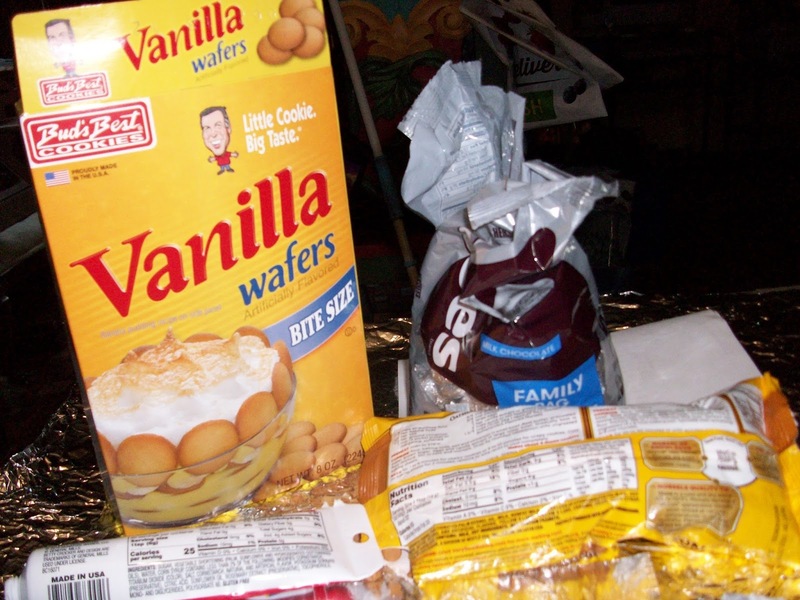 But cutting circles from the tape was a little hard, so I stuck the tape on some plastic wrap and tried to peel the spots off. But this was difficult, so I decided to buy some poster board from which to cut the circles. 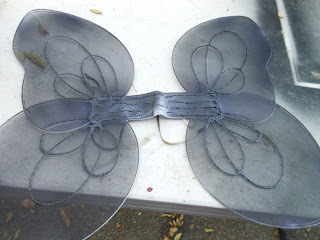 I attached them with tacky glue. 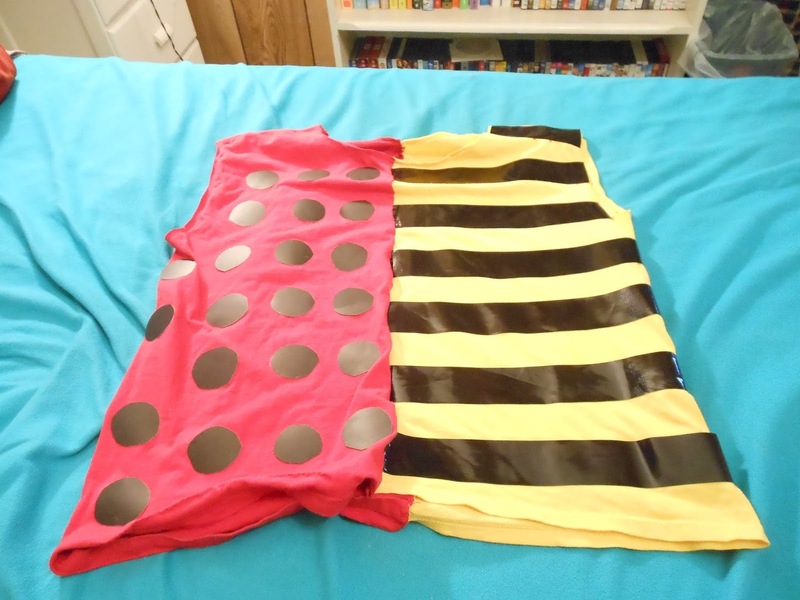 Then I had to sew the halves together and make the bottom of the red one nearly equal to the yellow half (the red shirt was a large and the yellow a medium). I had not sewn in such a long time and this took early all day. But I was determined to get this part done in one day and I did. I will definitely be putting up pictures of the whole thing later. I am sooooo looking forward to seeing the finished costume. You are having, and going to have, so much fun. Keep us updated. 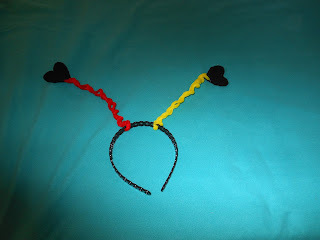 I'm no fun, I'm not even making a costume. But you're very creative!